Not getting the results from basic WPI or WPC formulas? Then this is for you. For the trophy winner on stage right through to the aspiring athlete in the crowd, you expect the best from your body, so feed it the best WPI. The ultra low lactose properites also makes it suitable for those sensitive to dairy. INGREDIENTS: UPROTEIN Whey Isolate Premium+XHL Blend (95%) (Instantised Whey Protein Isolate, Hydrolysed Whey Protein, Added L-Leucine), Socially And Environmentally Responsible Cocoa, Proteolysis Digestive Enzymes (Papain, Bromelain), Natural Flavour, Anticaking Agent, Acesulfame K, Sweetener (Sucralose). Contains milk, soybean products. Soybean products (Soy Lecithin) is used to instantise whey proteins and is less than 1% of the whey product. Made in Australia from local and imported ingredients. UNFLAVOURED PROTEIN INGREDIENTS: UPROTEIN Whey Isolate Premium+XHL Blend (95%) (Instantised Whey Protein Isolate, Hydrolysed Whey Protein, Added L-Leucine), Proteolysis Digestive Enzymes (Papain, Bromelain). Contains milk, soybean products. Soybean products (Soy Lecithin) is used to instantise whey proteins and is less than 1% of the whey product. Made in Australia from local and imported ingredients. I have brought both the Vanilla and Choc ones twice now, and have never been disappointed! Great on their own or mixed with smoothies. Tastes great, dissolves easily, great product! I tried the double choc and the vanilla, both were delicious and mixed really easy. 10/10!! - The sodium content for the isolate is much higher than the concentrate. - The Double Choc isn't as good as the concentrate's Choc Brownie flaour! I'll definitely still be buying 50/50 concentrate and isolate. The chocolate and vanilla flavours are all good. One of the best Whey isolate i have ever used. Great product with amazing results. Excellent find. A lot of gear these days is relatively comparative on the nutrient profile and lots of reviews go into that. So I'll rate my experience on the ease of use and 'feel's I get. I rate protein powders that are quick and easy to mix almost a little bit over their nutrient profile. This one hits the mark on both. I prefer water with my mix and this one dissolves very fast and easy. It doesn't leave chunks and bits after a quick 30 second shake. Great stuff. The flavour is nice I have found my preference is to mix a scoop with about 200ml water and the taste is rich and smooth. It fills me up with a clean vibe and hits the mark real nice after a workout, run and swim. It seems to give my body the nice vibe of not wanting to pound lots of food after either which is great. Been in the market for a new protein powder and came across Uprotein in October last year. Haven’t looked back since. It is the perfect blend for lean muscle mass and blends well as an addition to any shake. 2 scoops with some fruits and oats is the perfect mix for a breakfast on the run. Will definitely be buying Uprotein again. First time purchaser. From my research, the Ingredients listed are top of their class as is the proportions per serve which are actually on the upper side of the desired concentrations, so no fear of being under dosed. Added BCAA's is a bonus. Price is quite reasonable & cheaper than others. Taste is great, (I prefer it with milk but waters fine too). Shipping was fine. I use the uprotein primarily for post training recovery support, so far so good! I would recommend and purchase again. Love the protein density and the price - sensational! I read some online reviews of best Whey protein powders and came across uprotein as the best bang for buck. 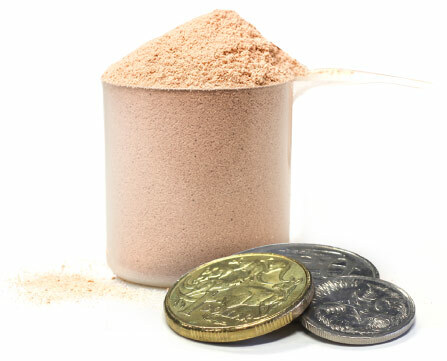 The company is based in Australia, deliver in two days, makes a great whey protein that mixes easily and tastes great. I have no intention to move to any other brand. Very happy. Was skeptical about trying a new product but couldn't be happier making the switch. The Vanilla WPI blends great and tastes good. Not too chemically, not too sweet. Just enough to flavour my drink so I can smash it down and get on with my day. Would recommend. I've tried sourcing my whey protein from many online providers. Here's why I have made my best and final decision for my protein source on UProtein. - Bang for buck! You won't find better value for money. 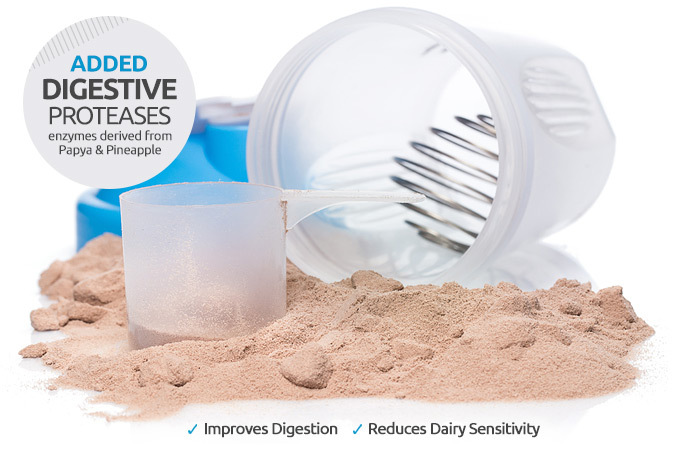 - Mixes very well in water, no annoying, disgusting clumps of protein powder in your shake! UProtein has secured me as their loyal customer. Highly recommend. Love the UProtein range of gear, protein in particular is fantastic. I have tried all the flavours and they all taste great, just noticed that the Exotic Fruits does not mix as well for some reason while the others do....might be me! Love your protein, tried heaps of other brands but I just keep coming back cause it's so good. Yummy flavors, mixes well with water, can use it in cooking and I've noticed muscle and strength gains to boot!!! Winning!!! Love it that much I've got the whole family using Uprotein and they love it too! Uprotein was my first whey protein I've tried. I then decided to try other brands but in the end I had to come back to Uprotein. 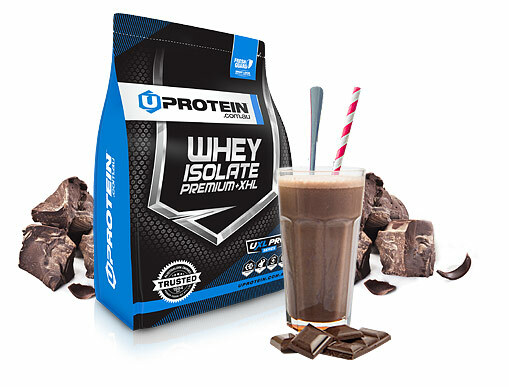 The Isolate is truly an awesome protein with minimal fat and pure hydrolised protein. Great for building lean muscle and losing fat. I take this in between meals and not as a meal replacement and it doesn't add any body fat, just muscle mass which is what I'm gunning for. Highly recommended to all! Can't go wrong with it! If you want the best, most affordable protein, get this! Cannot go wrong! Awesome isolate whey! Highly Recommend! Great isolate whey! Hyrdolysed as well - none of that concentrated stuff. Doesn't give me that bloated feeling and the flavour isn't so intense that it's a smack in your face, but would prefer more flavour options (strawberry would be nice). If they did more discount codes or specials I'd buy so much in bulk! It's 2 scoops for 1 serving but the scoops aren't that big so when compared to other suppliers you'd probably go through these just a bit faster than others. I am reviewing the Exotic fruit flavour, has a strong banana taste but comes with a very bitter chemical after taste, if this recipe could be altered to remove it, this would be amazing! Secondly the scoop is a little on the flimsy side and small, if this could be larger to hold the complete serving size and harder plastic that would be great! Overall very good product with a few minor issues to address! 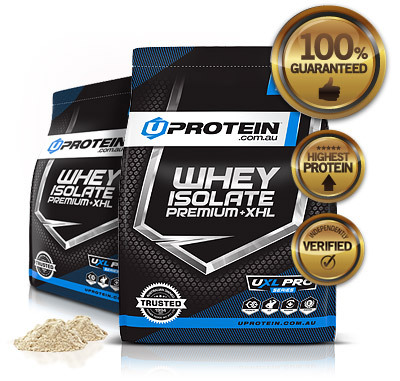 I have been using 100% WPI for a few months and now upgraded to the Premium Whey Isolate. I am seeing fantastic results, this stuff tastes great and helps me hit all my daily Macro's. I buy a variety of flavours in bulk so I make the most of value buying. One of the best protein i have ever had, great taste great results. Shipping is very fast, nice and easy to excess the website and there’s always a great deal. This is the second time I've purchased this, love the taste of the double choc. Very smooth texture and doesn't clump like other brands. After trying numerous protein powders over the years, this is the best for muscle gain results, taste, mixing consistency and value for money. I have tried almost every brand but this one is best. IN SIMPLE WORDS GO FOR IT. 2nd time around, great flavour and I find they fill me up before or after working out.. ive seen a significant increase in size and im only using this product so gotta be doing something right.. I also fills up the 12 yr old when hes hungry too so two thumbs up.. The no BS supp co! Everything about this product is bang on - delivers the high quality nutrient I need post workout, tastes great (I use Choc and Vanilla), blends easily and comes in easy to store packages. Shipping was super quick even to regional NSW. That's before we talk about the no retail store mark-up pricing. Nice work! It was delivered so fast, and the product taste very nice. I recommend the product, I’ve been using for 2 weeks and I can see good results. Second time ordering this in bulk. Have tried many others and this one mixes so well, taste is great and its super light and digestible with no bloating. Super fast delivery, was running low but ordered day before around midday and it arrives next morning! WPI protein blends well and is perfect for that after gym protein hit. Tastes great and is a perfect addition to any smoothie. It’s also gentle on your stomach making it easy to digest and doesn’t bloat you like some other protein brands. Great price, great products, helps me everyday to be successful in everything I do. Excellent product for its money. It is what I need - good quality, reasonable price and a brand with long history. The size is great and the flavors are great as well. The posting was quick. Will be getting this again. I have used iso-100 for 6 months but i didn't feel any different, even many websites show it is the most effective whey protein in the world. Moreover, i always have problems with my stomach when using other kinds of protein. 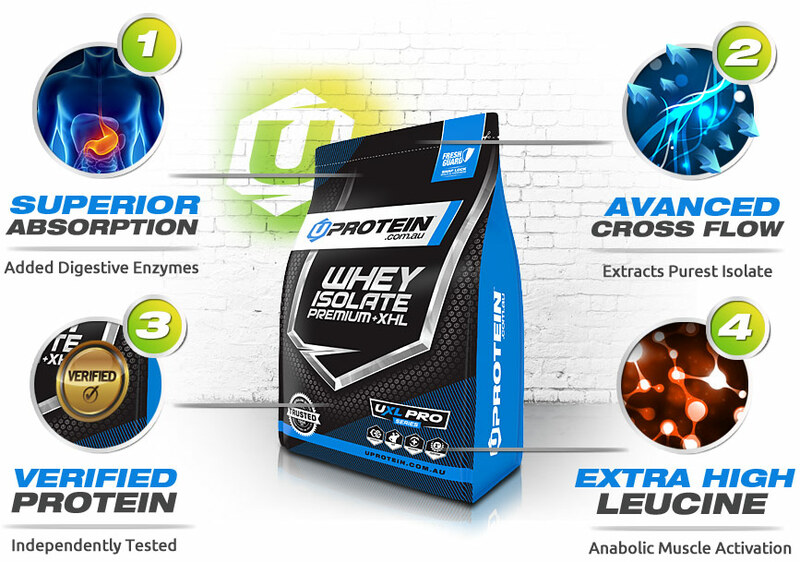 In contrast, Uprotein can solve my problems extremely easily because of digestion enzyme. Uprotein gives me more strength for lifting, my body changes over the time even doing the same exercises when i use iso-100. I gained 3kg of muscle just in 1 month! Best protein and at the best price point in the country. You'd be crazy to buy any other powder. Tastes great and mixes perfectly. Easy purchase and fast delivery. 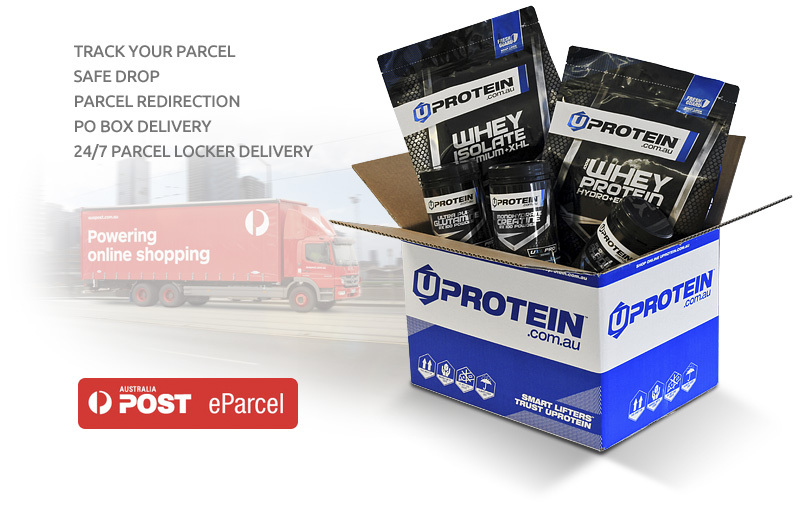 I’ve been a number one fan of uprotein Australia since 2016 and tbh I can’t get enough from it, their products are excellent and with the best sources to help with muscle develop! The isolate protein it’s just one the best protein I have ever tried and I will recommended to anyone out there, great in tastes and it’s definitely value for money!! What are you waiting for! Just go and try it yourself. Only the purest and most advanced refinement and filtration processes are used to ensure potent protein biofractions in every serve. This superior WPI formulation is made without harsh chemicals, artificial flavours or low spec WPI sources at 91.2% protein. NATURALLY FLAVOURED PROTEIN INGREDIENTS: UPROTEIN Whey Isolate Premium+XHL Blend (95%) (Instantised Whey Protein Isolate, Hydrolysed Whey Protein, Added L-Leucine), Socially And Environmentally Responsible Cocoa, Proteolysis Digestive Enzymes (Papain, Bromelain), Natural Flavour, Anticaking Agent, Acesulfame K, Sweetener (Sucralose). UNFLAVOURED PROTEIN INGREDIENTS: UPROTEIN Whey Isolate Premium+XHL Blend (95%) (Instantised Whey Protein Isolate, Hydrolysed Whey Protein, Added L-Leucine), Proteolysis Digestive Enzymes (Papain, Bromelain). Both product contain milk, soybean products. Soybean products (Soy Lecithin) is used to instantise whey proteins and is less than 1% of the whey product. Made in Australia from local and imported ingredients. Gluten free ingredients. A superior WPI formula should have an equally superior taste. Find out for yourself what Whey Isolate should taste like. At around $1.20 per 40g serve, this next level Whey Protein Isolate formula will be the most powerful and best value in Australia. We want you to love this whey isolate. If for ANY reason you are not 100% satisfied, we will happily refund the purchase price.